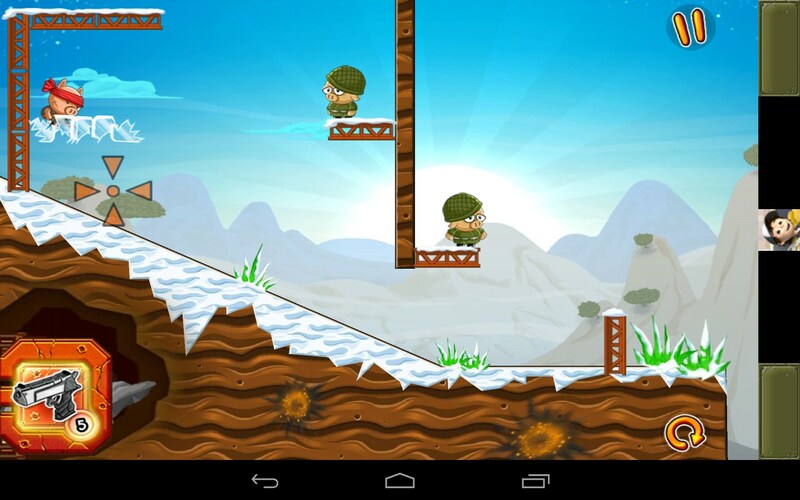 Hambo – Games for Android 2018 – Free download. 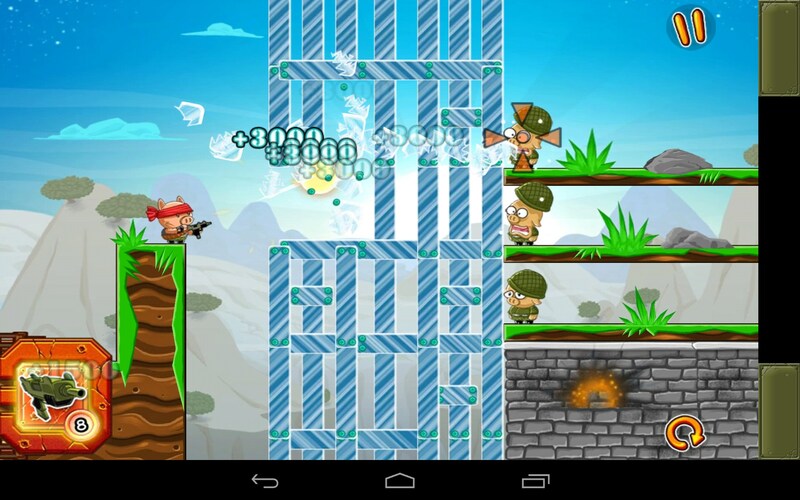 Hambo – Shoot piggies and turn them into Spam. Hambo for Android is part puzzler, part shootout and 100% delicious. Figure out the puzzle, shoot piggies and make bacon; well not really, but I'm hungry and bacon always sounds good. 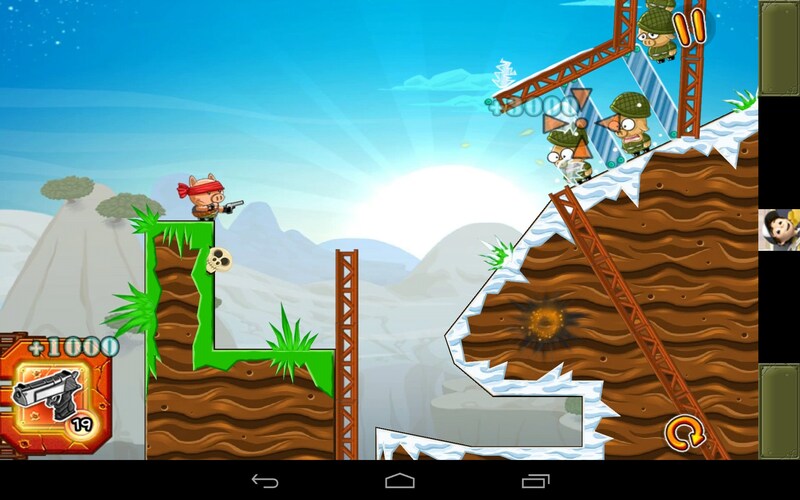 Hambo is naturally a Rambo knockoff. 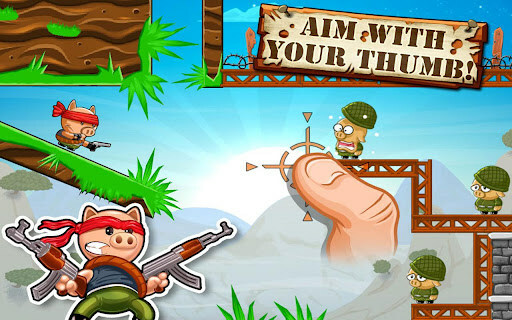 In this one, you're an over aggressive piggy armed to the fangs, and for some reason, you wanna shoot and kill the other piggies. 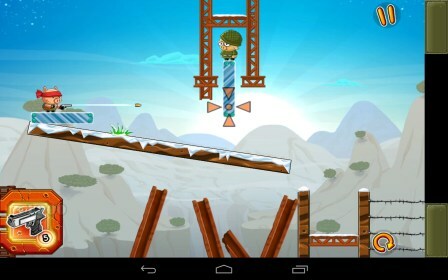 The game borrows a little from Angry Birds and several other games to make something all its own. 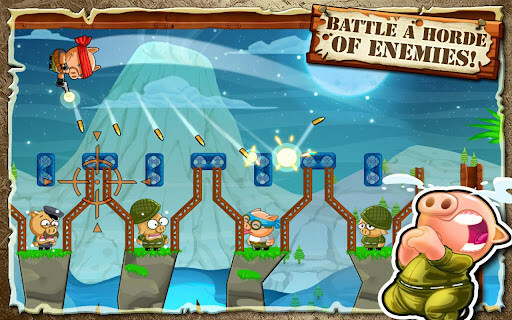 Each level is a unique puzzle, and the objective is to shoot all the piggies with a set number of bullets to win the round. Things get complicated because there are obstructions that must be shot out first before you can take shots at the piggies you're trying to turn into Spam. So this is a thinker's game in that sense, and requires both skill and strategy. The graphics are decent, but hardly refined or developed. The animation is ok, but can be choppy and doesn't always render smoothly. Overall, the game feels a little rushed and plays like a beta that needed a little more time in the incubator. The play is fun enough for the first few rounds, but it quickly becomes apparent that it's not actually going anywhere. Hambo is decent fun and will entertain for a short while. But it soon gets monotonous. The game has potential but needs to be developed. As it is, it just feels rushed and opportunistic, because beating up on Piggies is so popular right now.